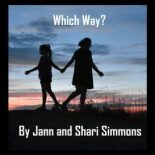 Shari received her Master’s degree in Social Work from the University of Denver in 1993 and became a licensed clinical Social Worker in 1995. She has had a 28-year career as an adolescent therapist and Clinical Director at several residential facilities in Colorado. As the Clinical Director at Mountain Crest Psychiatric Hospital in Fort Collins, Shari ran the adolescent facility for 10 years and started a teen homeless shelter. 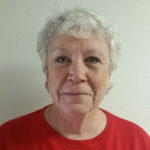 Most recently, she has been a consultant for various treatment programs in the state where she trains staff on trauma-informed care, develops strategic goals and provides tools to enhance programming. She is currently an Adjunct Professor at CCU and UNR. Her area of expertise is in mental health and trauma and she considers it a personal mission to train anyone who will listen to these topics so that people who suffer are met with compassion and understanding. She is currently writing a book on trauma for clinicians. When not working, she is hiking, biking, canoeing or traveling. 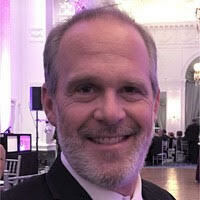 Dr. Gary Rosen is a Child and Adolescent Psychiatrist, consulting at the Fire Mountain Treatment Program. Originally from East Texas (Port Arthur), Dr. Rosen attended medical school at the University of Texas located in Galveston. Following graduation, he completed his Medical Internship, Adult/General Psychiatry Residency, and Child and Adolescent Psychiatry Fellowships in Phoenix, Arizona, and Houston, Texas. Having a passion for the mountains, and the western United States, he then moved to Boulder, Colorado in 1986, and has spent his entire career practicing in the Boulder County area. Dr. Rosen has worked in a variety of treatment settings, including area hospitals, clinics, therapeutic schools, day treatment programs and in a traditional outpatient setting. During his free time, he enjoys rock climbing, running, triathlons, skiing, and playing guitar. Hugh has been practicing nursing for over 13 years, receiving his Bachelor’s of Nursing from James Madison University in 2006. 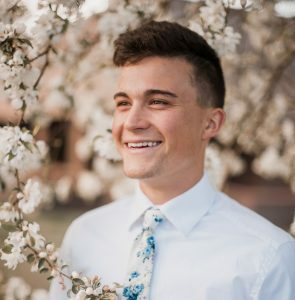 He is originally from Charlottesville, VA, but relocated to Colorado in 2011 in order to pursue an opportunity to be a river rafting guide, before returning to the medical field. Prior to joining the team at Fire Mountain, Hugh worked in an emergency room setting and with outpatient detox services. His training encompasses pre-hospital education, working with volunteer rescue squads, medical mission work in Uganda, Africa, and multiple disaster relief operations. Hugh has a passion to empathize with patients as well as to provide insightful guidance into each client’s journey of recovery, including encouraging daily physical activity. Outside of Fire Mountain, he can be found backcountry skiing and mountain biking with his dog, Jackson, who also spends a large amount of time giving “free” therapy to our clients. Tina completed her Master’s degree in Social Work at Colorado State University. During this time, she became certified in Mediation and Advanced Clinical Behavioral Health. Her professional experience includes working in geriatrics and hospice with an emphasis on mental health. She is a graduate of the Family Leadership Training Institute. During this time, she implemented and facilitated a support group for parents raising children with special needs and brain disorders. She spent five years as the Vice President of the Larimer County Autism Society and Director for community awareness. Tina enjoyed her time in Santiago Chile volunteering in schools for children with autism and at a local community resource center for children. She has also completed a suicide and sexual assault training while volunteering for the sexual assault hotline. Tina is passionate about advocating for children and their families. She has dedicated her life to improving resources for families with children who have special needs. today. He continued on to study at East Carolina University, earning a Master’s of Science degree in Marriage and Family Therapy. Hunter has had the opportunity to provide therapy for individuals ranging from 5-95, the homeless population, and low-income families at a medical clinic. He loves working with families and has a passion for working with youth. Hunter’s focus in therapy revolves around attachment theory and involving the whole family. In his free time, Hunter loves to be outdoors, play sports, play board games, explore new things and eat Thai food. Originally from Texas, Kelsie has completed her undergraduate degree at Harding University earning degrees in psychology and leadership in ministry. She went on to receive a graduate degree in Counseling at Colorado Christian University. 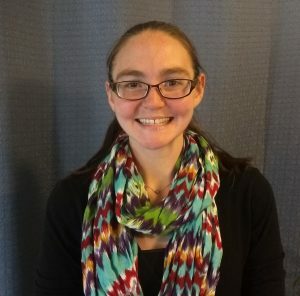 Kelsie is trained in EMDR and is a MINT certified Motivational Interviewing trainer. She has experience working with homeless populations, individuals with addictions, victims of domestic violence, and inner-city youth. Kelsie is passionate about helping people realize the potential they hold within themselves to heal. She holds the belief that when an individual’s values and actions align, they will experience a full life. Kelsie’s hobbies include exploring new coffee shops, backpacking, off-roading, running, playing soccer, and reading. 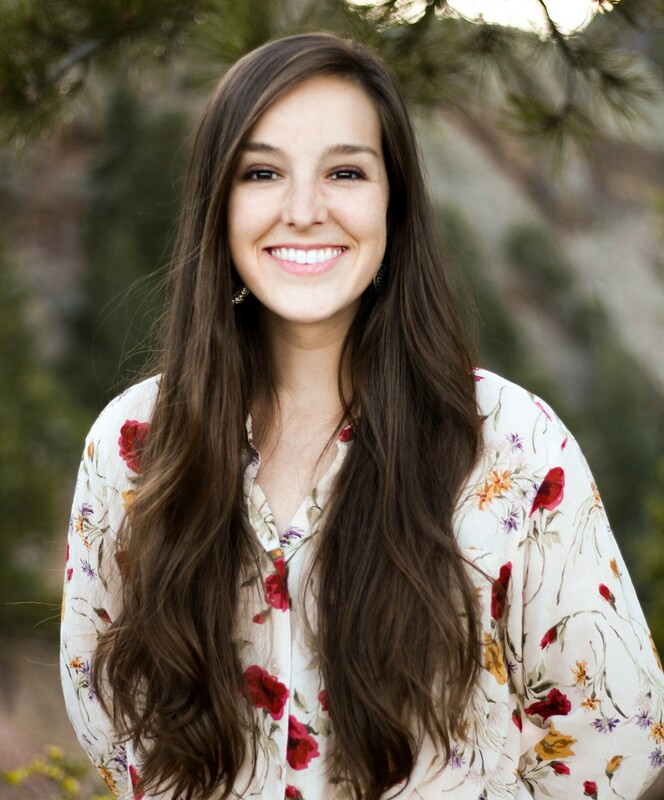 Laura is a Colorado native, born and raised in Fort Collins and is now a local resident of Estes Park. She received her undergraduate degree in Psychology with a minor in Sociology from the University of Northern Colorado. 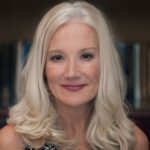 Laura holds numerous certifications and skills such as advanced first aid and CPR, MINT certified motivational interviewing, trauma-informed care, and is a sexual assault victims advocate. Growing up Laura has seen and experienced first hand some of the difficulties facing students who have unconventional learning styles within a traditional school setting. Laura is passionate about helping each student find their own style of learning and is committed to helping others succeed in their academics. In her free time, Laura spends most of her time in the great outdoors, participating in activities such as backpacking, traveling, rock climbing and skiing. She also enjoys creating art and spending time with her loved ones. Tug has always loved connecting with people and understands that helping people connect their lives with meaning and purpose is his true passion. Tug holds a master’s degree in education, and as a professional educator, he taught mostly science, in addition to social studies, health and wellness, and math. He also coached middle school and high school soccer. He believes in an experiential, integrative approach to education. Most of his teaching experience was with students who were from lower socio-economic backgrounds and many who were newly immigrated to the US. Tug has always been drawn to working with “at-risk” youth. Tug left public education in 2010 and worked for 5 years as a professional mentor in a private, residential treatment program for young men between 18 and 25 years of age, who were struggling to succeed as young adults, often suffering from mood disorder as well as substance and/or screen abuse issues. 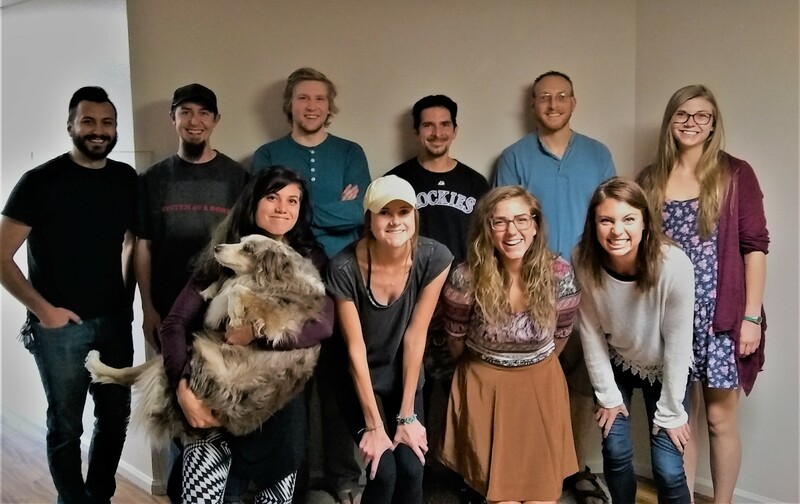 More recently, Tug spent two years managing Boulder’s Runaway, Homeless Youth program. In these different yet related roles, Tug has gained much knowledge and experience working with people of all walks of life and valuable expertise in working with a variety of significant, often debilitating, personal issues such as anxiety and depression, low self-esteem and motivation issues and addictions. Tug has lived in and around Boulder since 1990, and currently lives at 9000 feet in the mountains west of Boulder. Tug is a volunteer youth hockey coach and serves as president of the all-volunteer Nederland Youth Hockey Association. He enjoys being outdoors recreating, appreciating nature, being a dad, good food, and sports, especially hockey. 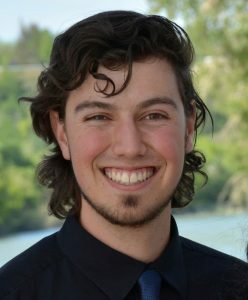 Alex draws strongly from his own journey of healing from a life-threatening eating disorder as a teen, and he has studied with the International Harp Therapy Program and at Quest University in Canada. Alex teaches a student-centered, needs-based Health & Wellness program oriented towards assisting students at cultivating their own well-being as well as a Music class to give students the opportunity to explore sound & music in a way that enriches their quality of life and quality of treatment. Outside of Fire Mountain he also works as a part-time nanny and as an empowerment mentor working directly with youth and their families. He has taught martial arts to ages 3 and up, has taught origami to elementary school students identified as being at-risk, and has tutored Math and Science at the high school level. He has also studied Reiki and supported youth in association with Natural Highs, a substance abuse prevention and intervention program in Boulder, Colorado. He brings his harp with him to many of the classes he leads and loves to incorporate that into his work. Linn is a retired landscape architect. After retiring, she chose to go to culinary school as a second career. She uses both skills here at Fire Mountain. When she isn’t cooking for the residents and staff, she is teaching gardening and culinary skills. Susie has lived in Estes Park for 27 years. She is married and has 3 grown children and 6 grandchildren. 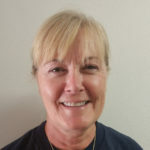 As an avid swimmer, Susie has coached swim teams for several years. For the last 16 years, she and her husband owned and operated a local restaurant in Estes Park. They sold the restaurant in 2015, which allowed her the opportunity to Fire Mountain’s team. Always naturally social, Susie loves spending time with family and friends. Summer is her favorite time of year, affording her the opportunity to garden and explore the surrounding National Forests with her three dogs. Tracey comes to Colorado after living for 27 years in Minnesota, where she obtained a degree in forestry. She is a proud mother of one daughter. In her spare time, Tracey enjoys traveling, cross-country skiing, gardening, botany, and exploring the outdoors. One of her goals when at Fire Mountain is to pass along her joy of plants and the outdoors to others. In the past, Tracey owned her own herb growing and sales business. She utilizes this experience with Fire Mountain’s own indoor herb garden. Originally from St. Louis, Kelsey attended the University of Missouri where she earned her undergraduate degree in psychology. She recently received her Master’s degree in Social Work, with a concentration in mental health, from the University of Denver. 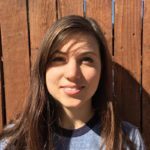 Prior to becoming the admissions coordinator at Fire Mountain, Kelsey gained experience working as a psychiatric technician, a wilderness and adventure therapy field instructor, and a residential counselor for the homeless who struggle with dual diagnoses. Kelsey believes that in times of great stress and hardship, people need someone that can deeply and non-judgmentally listen. As well as, assist them in gaining clarity in their situation in order to work toward healing. In addition to her passion for helping adolescents and their families reconnect, Kelsey loves spending time in the mountains with her two dogs, Sadie and Manny. 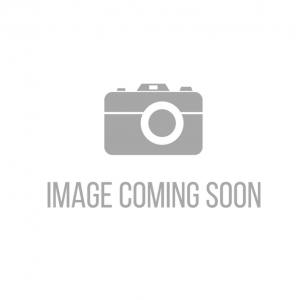 Jesse is a recent graduate from Colorado State University. He studied business administration with a concentration in accounting. Although he graduated with distinction in accounting, Jesse came to the realization that he would rather work for a company that helps humanity, than be stuck in a cubicle in a skyscraper. While in college he was the president of Campus Crusade for Christ and that’s where he fell in love with serving others, especially those that have had a rough past. In the role as Human Resources Coordinator, Jesse wants to advocate for his co-workers so they can be effective in helping adolescents better their lives. 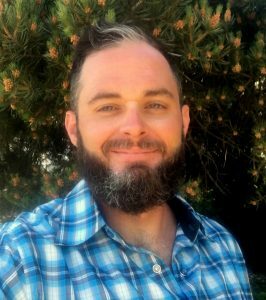 When Jesse is not at work he loves to play basketball, spend time at Horsetooth Reservoir paddle boarding and hiking, watch movies and spend time with his amazing community of friends. Jordan is a public relations, communications, and marketing professional. 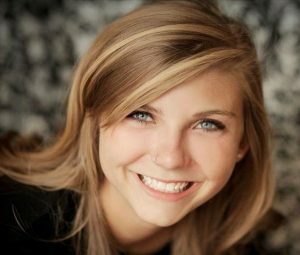 Finding her passion for story writing at an early age, she was the editor-in-chief of her high school yearbook in Fort Collins for two years. Following her passion for travel and adventure as well as a desire to delve into the intricacies of cross-cultural communication and connection, Jordan moved overseas to Edinburgh, Scotland at age 19 to pursue her BSc and start working in the Sports Marketing industry for a multi-national trampoline park. Seeking a change to a more creative and collaborative industry, Jordan decided to move to Barcelona, Spain to complete her MBA specializing in PR and Communications less than a year later. After living abroad for almost five years, Jordan decided to return back to Colorado to begin her career. Through experiences of working with young people for many years, Jordan decided she wanted to move into a field that helped support children in a more direct and impactful way. Kelli was raised in the mountains of central Pennsylvania, where she earned her B.A. in Psychology from Penn State University. In 2016, she moved to Colorado to expand her horizons, test her limits, and utilize her degree. She began her journey with Fire Mountain as a mental health technician, working hands-on with our teens. After a year of direct involvement with Fire Mountain’s clients, Kelli assumed the responsibility of the office. 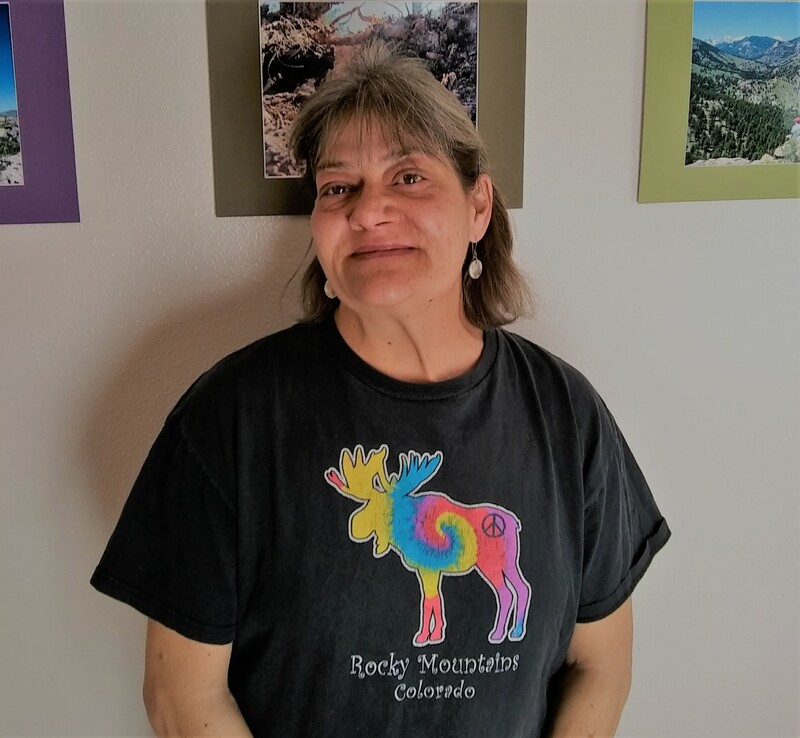 When not pursuing her passion for helping teens and growing her resume, she can usually be found camping in the Rockies, dancing to live music, or exploring many of Colorado’s natural resources. Originally from West Virginia, Deliliah traveled across the country with her car packed and hopes of better opportunities, to find a grand adventure. 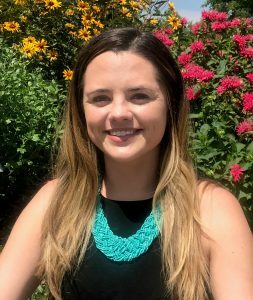 Deliliah is a graduate of West Virginia University, with a BA in Sociology and Anthropology and a history of working in the hospitality industry. Deliliah enjoys helping others and she hopes to inspire kids with her positive presence here at Fire Mountain. 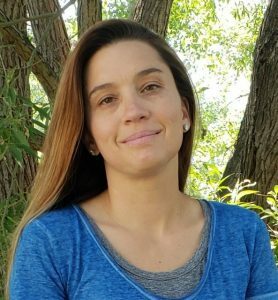 In her free time, she enjoys skiing, traveling, relaxing by the river, and exploring the natural beauty that Colorado and surrounding areas have to offer. Katia Nikitina was born in Moscow, Russia. Once she moved to the United States she began exploring her interest in art using chalk and oil pastels as well as acrylic paint. Katia discovered oil paints at Fort Lewis College, which she fell in love with. Throughout her time in college, she actively participated in Creative Collective, the Fort Lewis Art Club in Durango, Colorado. She served one year as secretary and her final year as president, in which she organized meetings, curated art shows, as well as planned and executed weekend trips. She has recently graduated from Fort Lewis College with a degree in Art and Psychology. Katia began working at Fire Mountain in June 2016 and is currently a mental health technician. 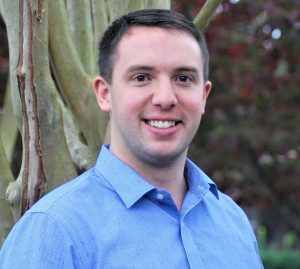 Andrew is originally from New York State, where he studied both Psychology and Legal Studies at the University at Buffalo. 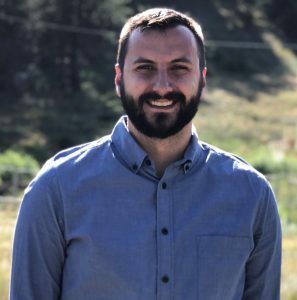 Andrew moved to Colorado in 2015 and began working at Fire Mountain the same year. Andrew works with training staff in various behavioral techniques. His primary goal when working with teens is to teach them how to think critically and solve their own problems through love and boundaries. Andrew is currently in school for a Masters in Healthcare Administration at Colorado State University. Through school, he focuses his attention on raising awareness for mental health and treatment options in the community. In his free time, Andrew enjoys playing guitar, cooking, playing basketball and adventuring with his awesome dog Leo.